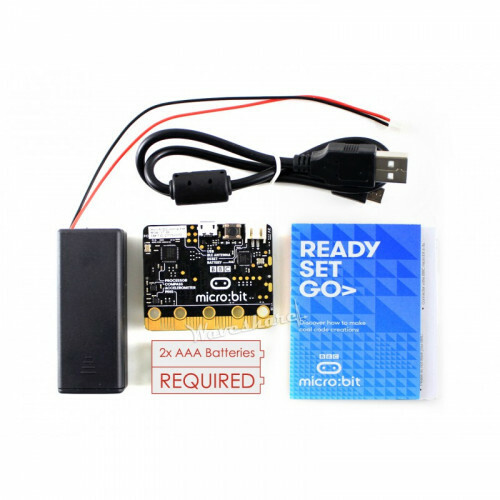 BBC micro:bit basic pack, AAA battery holder, USB cable. 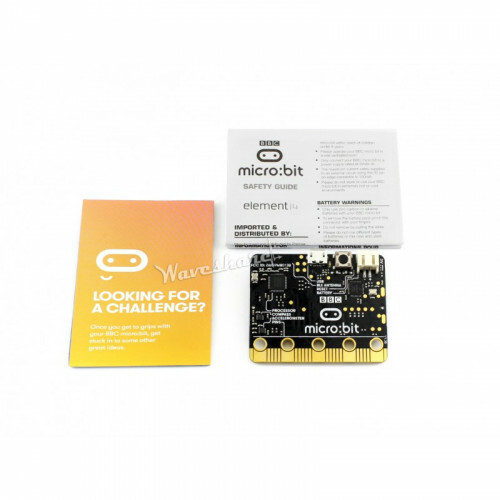 The BBC micro:bit is an open development board that allows you to run code on it and have access to all of the hardware. You can use your BBC micro:bit for all sorts of cool creations, from robots to musical instruments – the possibilities are endless. This little device has an awful lot of features, like 25 red LED lights that can flash messages. There are two programmable buttons that can be used to control games or pause and skip songs on a playlist. Your BBC micro:bit can detect motion and tell you which direction you’re heading in, and it can use a low energy Bluetooth connection to interact with other devices and the Internet. Micro USB connector – for connecting PC, download code, serial communication, etc. I/O connection pins – 5 I/O rings and 20-pin edge connector, including SPI, UART, I2C, Analog, PWM, etc. Supports multi popular languages like Javasript, Phython, Mbed C, etc.